Centrally manage your entire portfolio: all your managers, administrators, board members and owners collaborate on our single platform. An intuitive and comprehensive bundle of Shiftsuite Applications that includes: Accounting, Property Management, and Community Websites. This bundle provides every staff member with tools to manage better and every property a community website. We actively working on this bundle, but you can look forward to a powerful combination of Shiftsuite Applications that provide solutions for Online Proxies, Electronic Voting, and community polling. Successful management companies do not operate the same way they used to years ago. Your residents and staff demand powerful digital technology; that’s where we come in. Shiftsuite was created by looking at the entire property management operation, from the executive, accounting and property management teams, the external vendors and suppliers and of course, the residents. Our solution was built to allow everyone to work together seamlessly. Since 2002, we’ve been innovating and bringing new technology to the condominium industry in Canada. Our technology has changed the landscape of condo property management and continues to do so. No other condo management software offers as comprehensive a solution to manage the various operations, including: Condo Accounting, Property Management, owner/board communications, annual general meetings (AGM) and much more. Each application is available as a stand-alone Application or can be bundled for the most effective solution. Shiftsuite Applications are individual condo software applications that meet specific needs. Use them individually, or bundle them together to take full advantage of Shiftsuite. Specifically designed for Condominium Accounting. Built together with the insight of industry leaders in property management. A full condo Accounting cloud-based software that will make your operations stronger. Imagine all your property managers using the same tools and working collaboratively. Provide consistent results for your entire condo management portfolio. A Condo owner/board web portal, available in various editions, that provides owners with information, communication, and service. Today’s owners expect online access to their homes, and now it’s easier than ever! The Industry standard and first online Status Certificate solution. Conduit is a full status certificate management system and FREE to any property management company. Conduit allows for an easy way to for anyone looking to order and pay for their status certificate online. Meeting quorum, engaging owners and collecting proxies has never been easier. Shiftsuite’s Online Proxy Application is an effective way to run your condo corporation needs through your internet browser. Easily pass by-laws, run your AGM and achieve quorum. Vendor Vetting allows you to easily manage your trades/contract list including ensuring they meet the requirements. 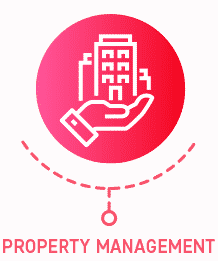 You can meet your responsibility of recommending vendors to your condo corporation clients while recouping the labour costs involved in this timely, yet vital function. Shiftsuite is core to the operations of condo property management companies, and in-turn they are core to the Shiftsuite business. Find out a little more about some of our clients and the market leaders. Innovation is a critical ingredient in our success. Investing in exciting new technology helps us in all angles of our business, allowing us to stay true to our commitment to bring the highest levels of supervision, innovation and experience to our customers. We were early adopters of Shiftsuite and have never looked back. The Applications are intuitive and comprehensive. The entire team is a pleasure to work with. Since 2012, we have worked very closely with Shiftsuite to design our platforms. We highly recommend Shifsuite Applications and their top-notch team of staff. Using Shiftsuite has increased our efficiency and productivity. Best software for condo property management on the market! Easy to use, generate reports and financial statements. Support staff is friendly and provides excellent customer service! I use Shiftsuite and I love it! The system is user-friendly and with many reports available, it’s easy to do monthly financial reporting and to provide information to the BODs and Property Managers. Whenever I need help, the support team is patient, friendly and helpful! I have used ShiftSuite for almost all of my career. From writing letters and keeping track of payments and charges to homeowners, to creating Financial Statements, ShiftSuite is a one stop shop! Very happy with the service! Bringing in Shiftsuite has helped our company efficiencies dramatically. We save plenty of man hours with Shiftsuite’s integrated systems and use it to record all of our client activities. If there is an issue with Shiftsuite their support is quick and effective. I would highly recommend this product for any management company. Create the efficiency you always dreamed of! We bring technology and innovation to the condominium industry. Our track records and numbers speak volumes.